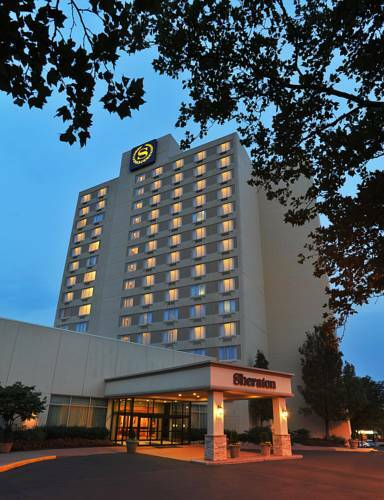 In the heart of Langhorne, Pennsylvania, Sheraton Bucks County Hotel is an ideal choice for business or leisure travelers. Just across the street from the Sesame Place amusement and water park, and moments from Oxford Valley Mall, we're also convenient to the many businesses located in Bucks County.Take a drive through the foothills of Bucks County and you'll find plenty to explore within a 15-mile radius of the hotel. Peddler's Village, Bristol Riverside Theater, Sovereign Bank Arena at Riverfront Park, and Washington Crossing Historical Park are a few of the attractions close by. Plus, historic Philadelphia is just a thirty-minute drive from the hotel, and great East Coast cities like New York, Baltimore and Washington D.C. are an easy day trip. We are excited to welcome you to Sheraton Bucks County Hotel and are proud to offer you great service and total comfort. Our guest rooms include 42" flat panel HD televisions, the Sheraton Signature Sleep Experience, pull out sofa sleepers, and Starbucks one-cup coffee brewers. Each room also has complimentary Wireless Internet Access.All guests are welcome to utilize our hotel-wide amenities including the heated in-door swimming pool, Jacuzzi, and our fully equipped Sheraton Fitness. Feel free to surf the web on our computer workstations or bring your laptop for complimentary wireless High Speed Internet Access in the lobby. You can also enjoy onsite dining at the University Restaurant and Lounge.Our 12,000 square feet of flexible meeting space should nicely fit the unique requirements of your next big event. Our staff is courteous and efficient, and can provide the best value for your dollar. Plus, we are a prime location to compliment any corporate or social event. Be our guest during your next visit to Bucks County, and experience hospitality at its best. We are located just outside of Philadelphia and surrounded by unique shopping, sightseeing, restaurants, and entertainment opportunities. Easily accessible from I-95, Route 1 and the Pennsylvania Turnpike, the Sheraton Bucks County is conveniently located between New York City and Washington D.C.
Bones of an American saint, laid out wearing his pointy bishop miter and robes. Slivers from his coffin are for sale in the gift shop.